The brooch is back. Prada and Balenciaga were among the major brands that signaled its return on their fall runways while others, like Chanel and Marni, have always had a soft spot for the decorative accessory. If you’ve never been a fan, give it a try this season, you might be surprised by the effect a small accessory can make. 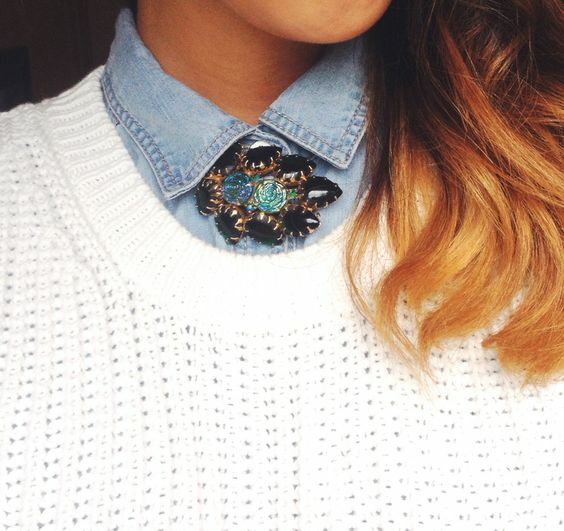 One of the ways of wearing a brooch this year was just pin it onto the shirt, It’s fast, easy and comfortable. Your special accessory will always be visible at your first hello and you will never accidentally lose it (just look down now and then to check if it’s still there). This is also one of the most feminine and classic ways of handling a brooch. There is nothing edgy about it, but the tradition still inspires. 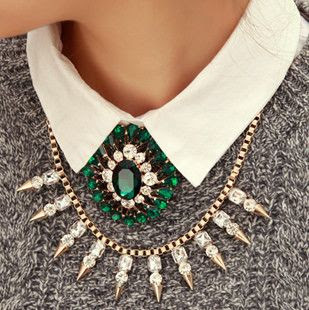 Instead of simply pinning it onto the shirt, try it up to the collar. This style fits perfectly into the office of the 21st century. Pick the right shirt with a suiting collar; remember that shirts are all different. The classics are never outdated. 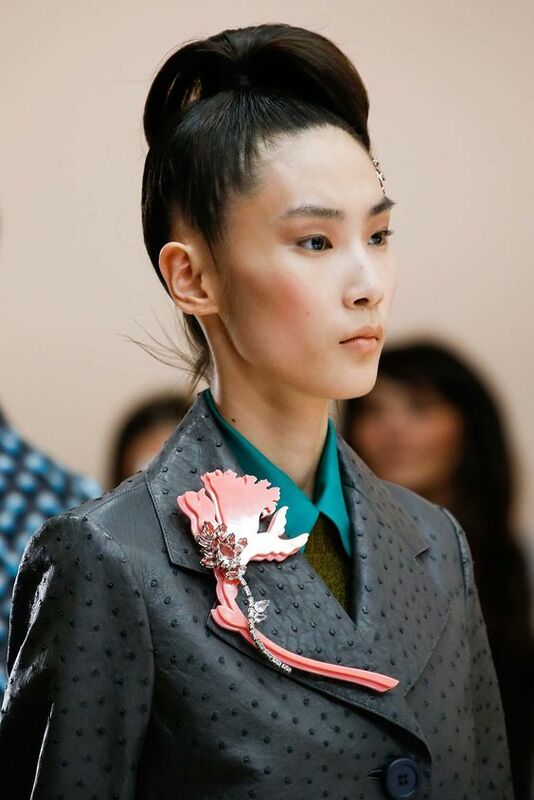 Brooches on the blazer lapels, whether your accessory has a special meaning or it’s just a fashion statement, this way of pinning your brooch will never get old. Make sure the fabric can hold the weight of a big brooch. You know your neckline is in the centre of the attention. So, what if we add another delicate detail to it! 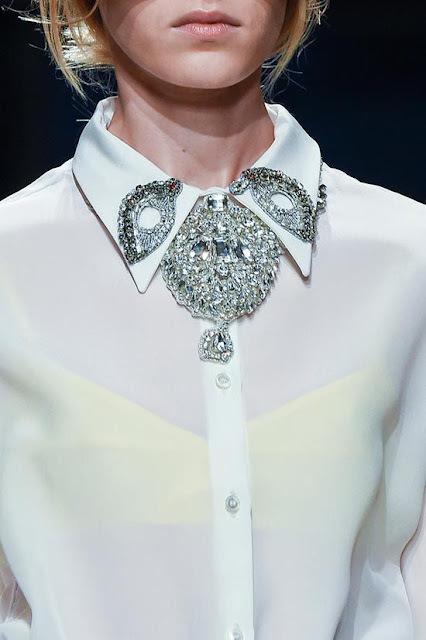 I adore brooches on V-necks (although other necklines will also work). 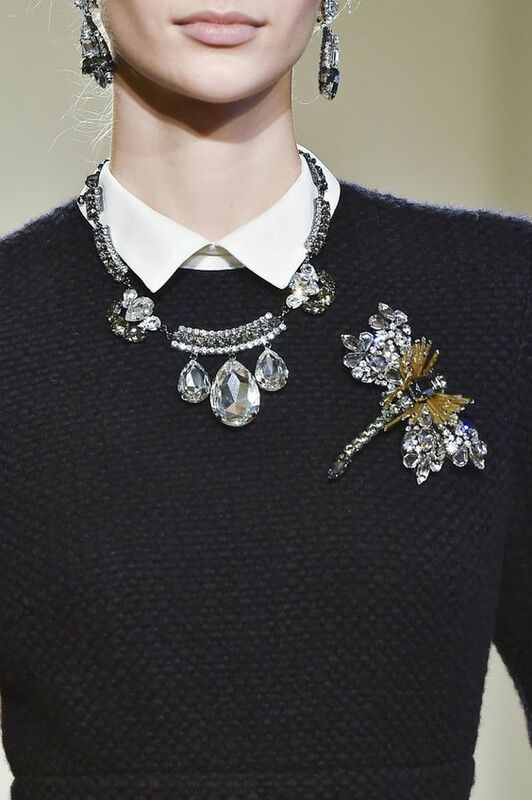 If your dress has a special detail on the waistline, go ahead and pin the brooch around it. Belts both on blouses and dresses work very well too! 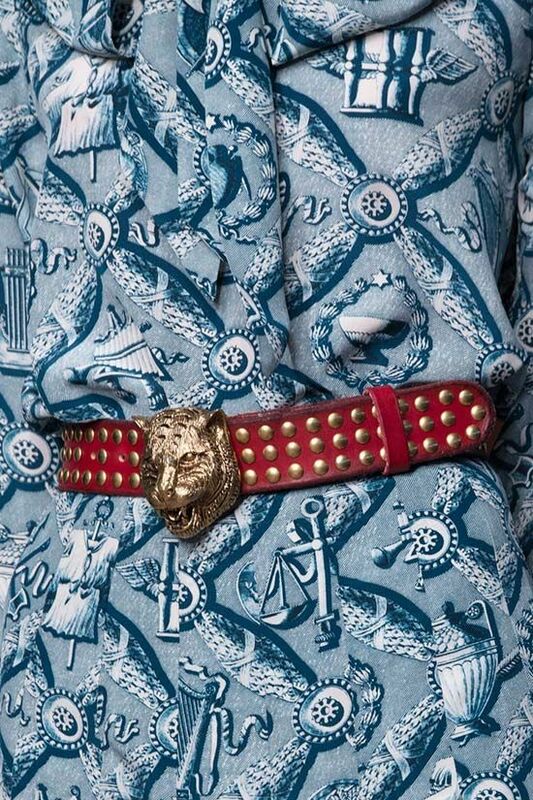 The brooch steals the attention from other body parts and concentrates the main target on the waistline. If you pick the right shape, you can even accentuate curves, where they need to be in the spotlight. 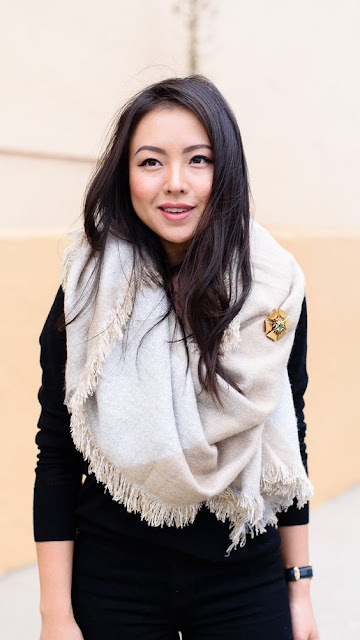 One of the most common uses is pinning brooches on scarves. This method has always been used by both older and younger generations. Add a reliable brooch and you will not only walk safely, but will also look like you just stepped down the global catwalk. Brooches can also go on the hat! The movement of your head will always make the accessory shine, catching the rays of the light. Still feeling unsure on how to wear your brooch this year. 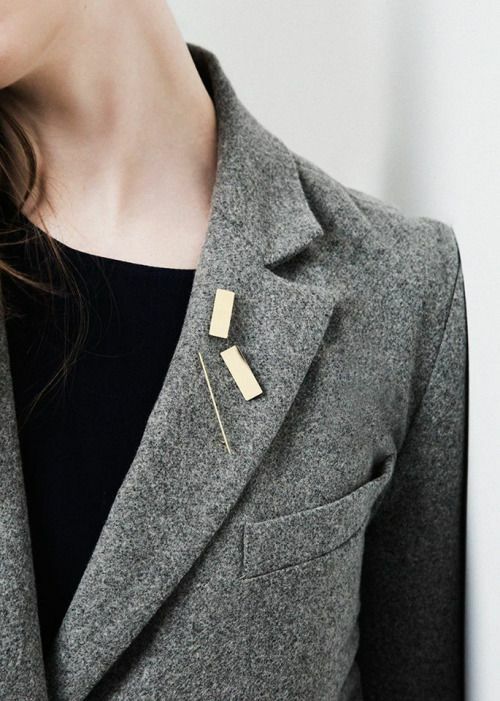 Scroll below for street style inspiration in get you wearing your brooch with confidence. And you thought brooches are for the older generation! Remember, the best fashion trends always find their way to come back into our wardrobes. Brooches are some of the most feminine fashion accessories in 2016. What do you think? will you be wearing brooches this season? tell us by leaving a comment below. Wow very beautiful post. If you are attending a family reunion choose a fancy brooch, one that expresses love and joy such a flower brooch, Turquoise, Turquoise Wreath, Double Lily, Pearl Flower, Flower Bouquet Brooch, Pink Flowers Brooch, etc. 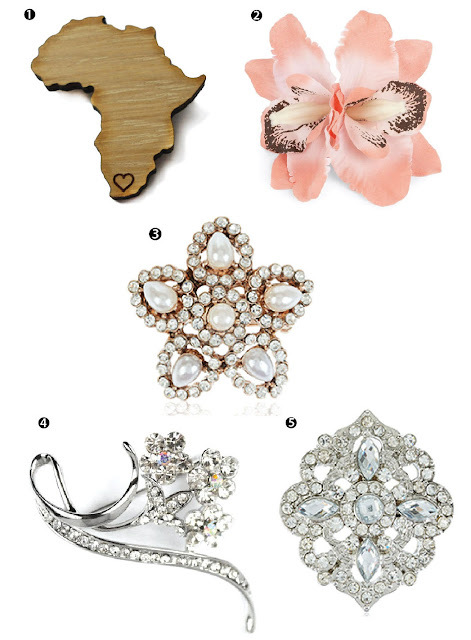 Fashion pins brooches come in different styles which are very popular in now-a-days. 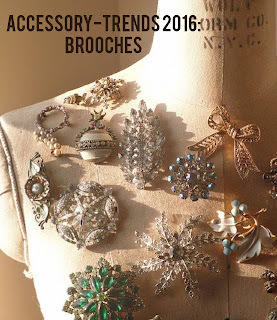 It was decades ago when brooches were a trend. Well, this blog I came to know that these little charming fashion trinkets are back. I really love the designs which are mentioned in this blog. I agree with what Amelia Williams has mentioned in the blog. I am going to buy these now.